(eat, drink, and) Be Merry. Sunday mornings are for muffins in our house. We generally have a blueberry – banana chocolate chip – apple cinnamon – mom’s choice rotation in our muffin-making, but today… I was filled with muffin ennui. Pre-heat oven to 375 F. Prep your mini-muffin tin by liberally coating it with non-stick spray. Set the whole darn thing aside. Pour the liquid goodies into the dry goodies and fold until just moistened. Fold the bits in with a rubber spatula til combined. Using a Wee Scoop (there’s a technical/pastry chef term for that tool, but I didn’t go to pastry chef school, so in my house, it’s called The Wee Scoop), fill each mini muffin tin right up to the top with a scoop of muffin batter. Bake @ 375 degrees F for 18 minutes. They should pop right out of the tin, and go great with a steaming cup of coffee and some Indie Singer/Songwriter. Just sayin’. 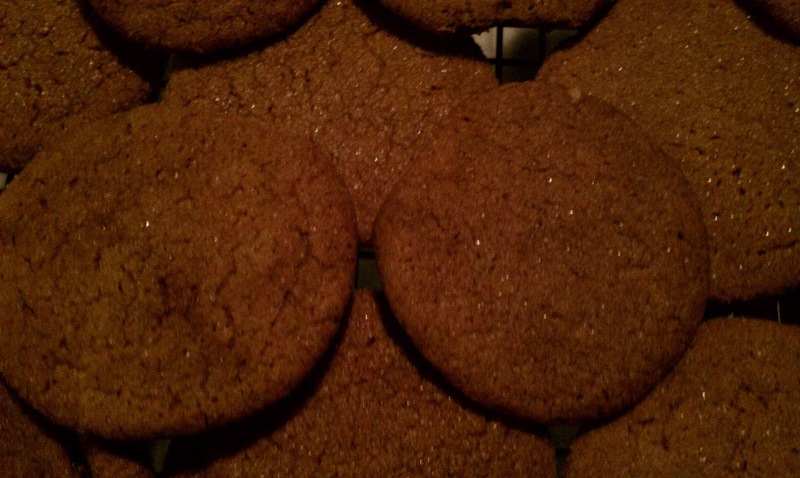 Gingersnaps: a harbinger of good things to come. It’s officially cookie-baking season at our house, and with Christmas a mere 27 days away, I am anxiously anticipating batches of palm-sized deliciousness, getting through the 10 pounds of butter in the freezer, cookie baking and exchanging with friends, and a non-stop parade of amazing baked smells coming out of this kitchen. Today, Paige and I kicked it all of with — you might have guessed it — gingersnaps. Now, at our house, gingersnaps aren’t reserved for the holidays, but the intermingling scents of clove, cinnamon, ginger, molasses, and orange zest conjure in me the very heart of the baking season. Man, I wish this was a scratch-and-sniff blog. Raise your daughters up in the way they should go. Apron included. She handled herself with great aplomb. Made her old momma proud. My secret weapon in our gingersnaps is orange, two ways: a little orange juice to keep things moist, and some orange zest to balance the deep spice of the cookie with something zingy. Mix together in order shown. Chill for a half-hour or so. Roll into small balls and then in white sugar. press gently on cookie sheets with a glass. Bake at 375 for about 8-10 minutes. This entry was posted in Baking, Photos, Recipes. Bookmark the permalink. It’s Alton Brown. I’m not going to pretend I can one-up his cooking prowess. Just follow the recipe (it’s fun to watch the episode as you cook, or before you cook. or both, really). The only thing we really changed is that we use frozen pearl onions instead of fresh. They stew for hours, and have you ever tried to peel those little buggers? No. thanks. It's like a more herbal, win-y, flavorful stroganoff. minus the dairy. But seriously, broken into two days of prep (one to prep chicken and refrigerate overnight, and another to slow cook in the oven), this dish was pretty simple and mostly a matter of waiting for things to cook. Who says French is a lot of fussy prep work and knife skills? 8 year old — I liked the meat and noodles. 3 year old — I liked everything we had tonight, but I would only like the noodles again. Sigh. At least the only thing left on their plates were bones, an itty-bitty pile of mushrooms (paige) and an itty-bitty pile of pearl onions (alice). 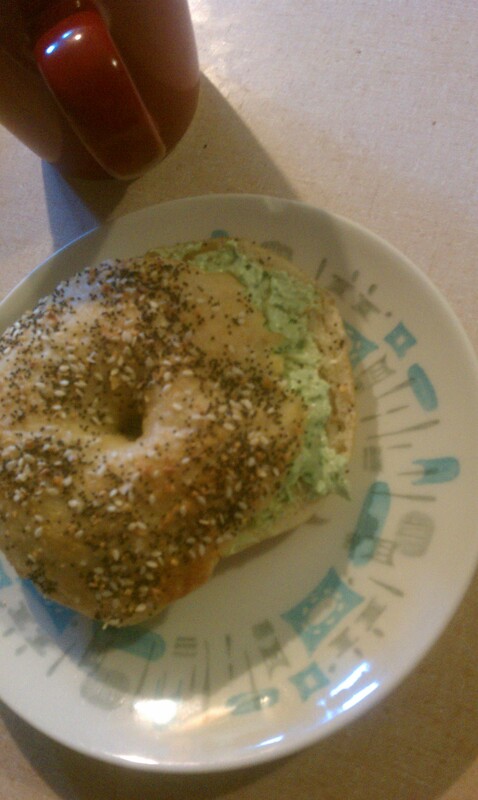 This entry was posted in Cooking, Meal plans, Photos, Recipes. Bookmark the permalink. French Food for Families week(ish): starting… now. The sudden change in weather (moving from early autumn into late autumn always feels like you’ve crossed some sort of invisible line into oktoberfest beers and dressing in layers) has provoked a longing in me for certain, lesser-publicized fall flavors: earthy mushroom, rich caramelized onion, the salty-sweet tang of slow-cooked meats. As I was putting the meal plan together this week (including rabbit. Rabbit! ), I was pleasantly surprised to notice myself instinctively hunting down farm dishes… coq au vin, pork provencale, boeuf bourgingnon. These also happen to be French dishes. Weird, because I always think French Food is Fancy Food. Got me to thinking: could I pull off an entire week of French dishes? I work full-time, have a family to feed. Would my children starve to death? Would my self-proclaimed Frog Disdainer ™ of a husband allow me to sleep in the house (because, BRR, it gets cold at night these days)? I think the answers here are: yes, no, and no. Honestly. I think you can cook traditional cuisine with minimal adaptations over the course of a normal, typical fall week, and live to tell the tale. Allons-y… think we can do it? Please follow us as we attempt to feed our family seven french meals over the next week. This entry was posted in Cooking, Meal plans, Recipes. Bookmark the permalink. Stop what you are doing, and bake this. Apple Cupcakes with Cinnamon Frosting. Do I look like a girl who would lead you wrong about food? Seriously. Would this face send you to bad baking? Nuh uh. 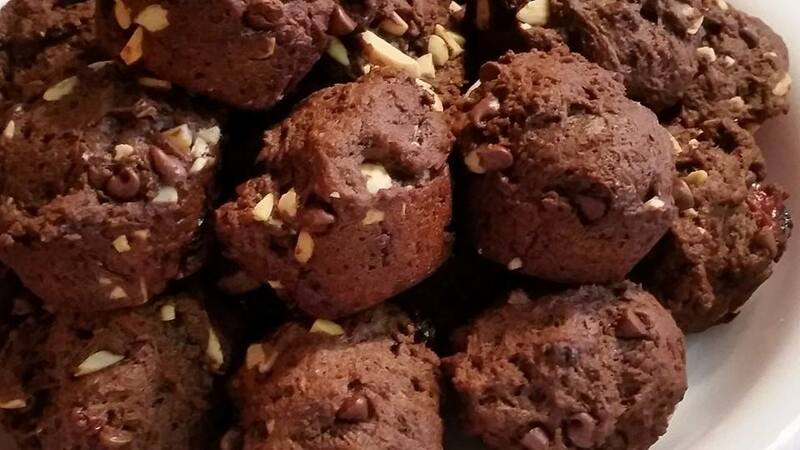 This entry was posted in Baking, Links, Recipes. Bookmark the permalink. I’ve gotten in the habit of baking on weekends. We have a slice or two of whatever I’ve created, but with just two grown ups and two kids, it’s hard (and probably not the healthiest) to make easy work of a pie, or cake, or… fill in the blank, really. I declared Sunday Bundt day. I normally reserve a good Bundt for book club (or some other equally important occasion), but I found this recipe for a fall Pumpkin Pecan Pie Cake tucked in amongst my pans, and I couldn’t help myself. There’s BOURBON in it, for God’s sake. A girl can only be so strong. Anyway, it seemed to be a hit in the office. I think I had three people asking for the recipe before lunch. Small victories there, I guess. At least I know the baking won’t go to waste. Well, that, and I love my job and colleagues enough to say this: my colleagues are worth a Bundt. Yah. I like them that much. Preheat to 350. Grease and flour pan. 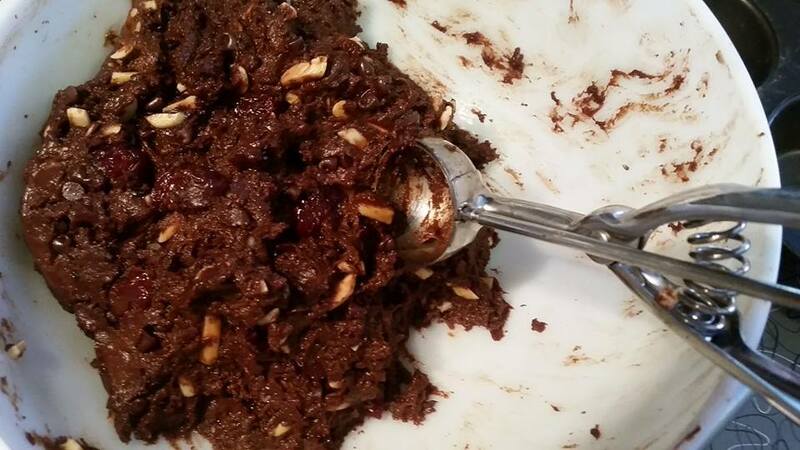 In a small bowl, stir together all pecan layer ingredients and set aside. In a medium bowl, stir together all dry ingredients — flour, baking powder, baking soda, salt, cinnamon, nutmeg. Set aside. In a small bowl, stir together buttermilk, bourbon, vanilla extract, and molasses. In a large bowl (preferably the bowl of your stand mixer), beat butter and sugar on medium speed until light and fluffy. Add eggs one at a time, scraping down after each addition. Add 1/2 of the dry goods, then half of the wet goods, then half of the pumpkin, then mix well. Repeat. Spoon half the pumpkin batter into the pan. Sprinkle the pecan layer on top first half of batter. Add the remaining batter. Bake for 35-45 minutes until toothpick inserted in middle comes out clean. Cool 10 minutes in pan, then invert onto a plate or cooling rake to cool completely. 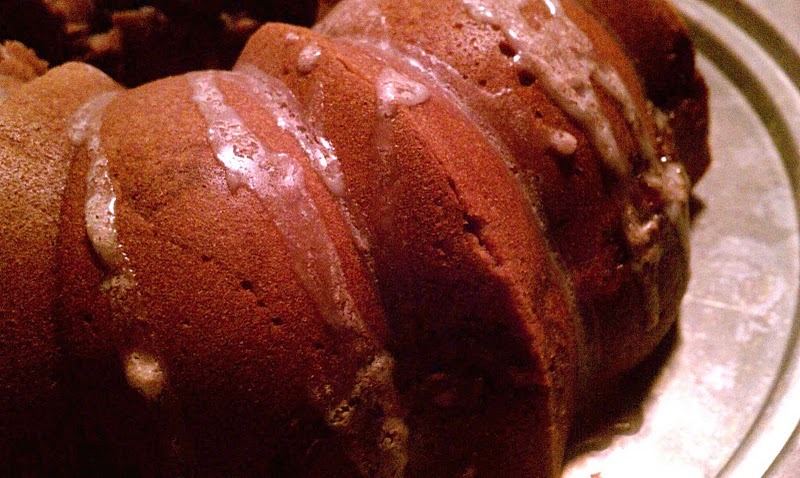 When completely cool, mix ingredients for icing together and drizzle on top of Bundt. Serve and enjoy! The keys to our (coffee) hearts. You know, we live in Northeast Minneapolis: land of Greenies, <a title="Psycho Suzi's Motor Lounge. Tiki drinks, Nye’s jumbo cocktails… are you noticing a theme here? I mean, don’t get me wrong, I’m the #1 fan of our uniquely NE bar scene, but what about when you get up in the morning and are nursing that dull ache that comes after one too many ______ (fill in your favorite Northeast adult beverage here)? I mean, if the ibuprofen and Gatorade aren’t cutting it for you, you need a cuppa. When I lived in Linden Hills, I could wander over to Rustica/Java Jacks. If I happened to land in Uptown, Muddy Waters was right there (OK, it’s not in the same place anymore, but it still EXISTS). Let me tell you: we lack serious beans in this corner of town. I’m a big fan of Bull Run. And by big fan, I mean I’ve considered setting up a restaraunt LLC just to be able to buy their beans wholesale. I beg my uptown-dwelling friends to bring me coffee when they come up my way. It’s the Official Bean of Girls Weekend. God, I love that stuff. Also: I will beg, borrow, and steal for Dogwood beans. Perhaps I’m driven to Dogwood because they are embedded within Rustica (and honestly, the chocolate/pistachio pastry and a latte? This is clearly what God will put on my breakfast table daily when I get to heaven). They also have their roots deeply embedded with Bull Run. Anyway, I love how seriously their baristas take their coffee. If you are going to drink something, you may as well be an expert about it, and these guys are the experts. Both of these options, however, are inconvenient. My convenient options include picking up beans at the grocery store (ick), chain coffee shops (double ick), or a couple of indie coffee shops that don’t do their own roasting (mostly, meh). So, imagine my delight when our lovely local corner restaurant, Hazel’s, offered to sell us a bag of True Stone roasted Costa Rican beans. I brewed up a pot this morning, with a sweet tension headache brewing, and to my surprise, I actually had to pull the package out of the cupboard to ensure Dave hadn’t, in fact, purchased Bull Run beans. Yum! And walkable! Be still my Northeast heart, there is caffeinated salvation to be had in my neighborhood. If you haven’t yet visited Hazel’s, especially for brunch, get it on your docket. It’s so good: warm, friendly, casual, delicious food served simply and without pretense. Have a couple of cups of coffee when you’re there, and take home a bag of beans to try for yourself. I raise my travel mug to better-tasting caffeination. Cheers! 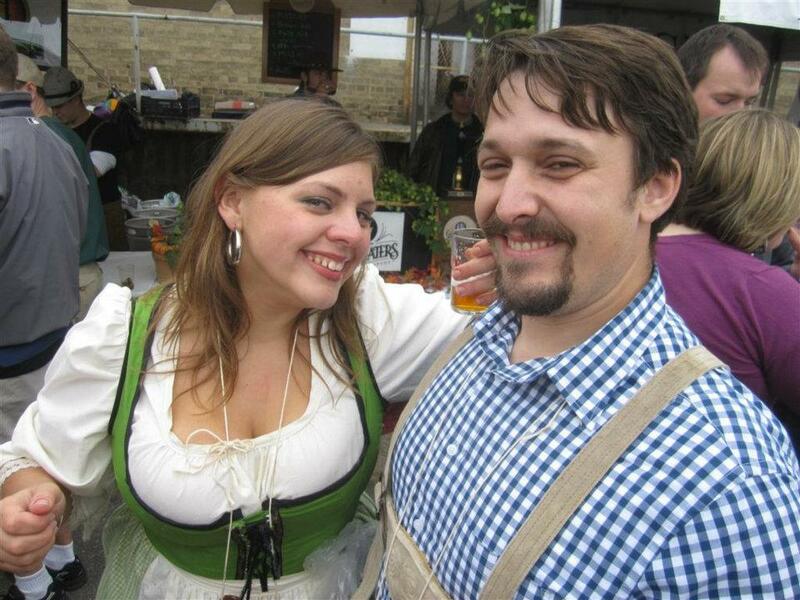 This entry was posted in Dining out, Drinks, Links, Supplies. Bookmark the permalink. My mother-in-law has brought this for us a few times, and I’m a little more in love with it every time I eat it. Mix the whole works together; chill and serve. Serve with chips, or on top of a light meat like fish, chicken, or pork. Honestly, I just eat this stuff by the spoonful. Well, Alice, I can take a hint. So last night, I mixed up the tried-and-true sweet batter for cinnamon and sticky buns from my favorite bread cookbook (The Bread Baker’s Apprentice). 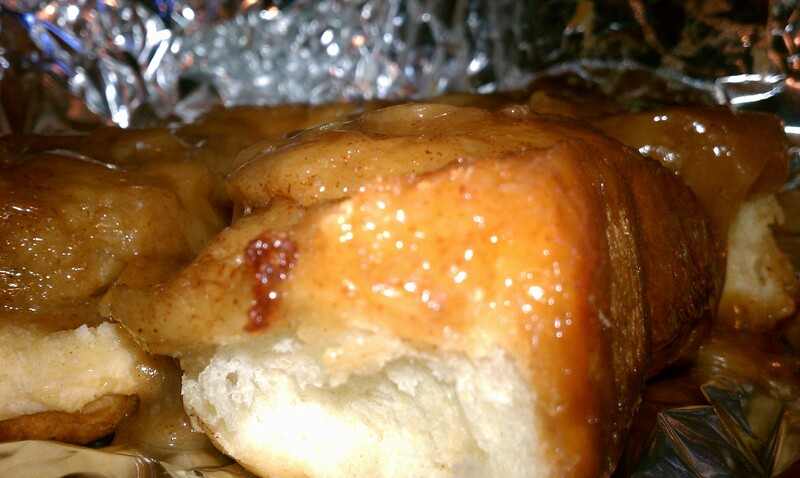 This time, I skipped nuts and fruit and modified the caramel recipe, and took what was a super-solid recipe into mind-blowing sweet roll goodness. cream the sugar, salt, and butter together in a stand mixer using the paddle. Get it good and fluffy. Then whip in egg and zest until smooth and fluffy again. Then add the flour (start with 3.5 cups and reserve the last half cup to get your consistency right), yeast (this is why it is critical to have instant yeast… you can add it right in with the flour and don’t have to dissolve it in anything), and buttermilk. Mix with the paddle on low speed until the dough forms a ball; then, switch to the dough hook and knead (on 2 if you are using a KitchenAid mixer) for at least 10 minutes. I always spend about 5 minutes finishing the knead by hand, mostly because it is fun to have the girls help with this final part. Add your extra flour if you need it here; it’s more of an art than a science, but the dough should be silky, elastic, and should pass the windowpane test. Put that bad boy in a big ceramic bowl, cover tightly with plastic wrap, and put it somewhere warm to rise until double (I turn the oven on to 150 while I’m mixing, then turn it off once I start kneading. The lightbulb and pilot light, combined with the little bit of heat, make an excellent proofing box). Mix up the cinnamon sugar sometime while you are waiting (it’ll be 2-4 hours, so plan accordingly). Also while waiting, mix up the caramel. Melt the butter, sugars, and salt in a saucepan over as low of heat as you can tolerate. Once melted, but not at all browned, pour in the vanilla extract while whisking, then the agave syrup (still whisking). Remove from heat and pour into the bottom of the pan you’ll bake your rolls in (I like an old-fashioned 9×13 metal cake pan for this job). To shape the rolls, turn out the doubled dough to an oiled surface (Pam on the countertop at this house). Use a rolling pin to make a 10×14 or so rectangle of dough. The most important thing here is to make it at least 2/3 inch thick; I like about 3/4 inch thick, personally… but I like fluffy, pillowy sticky buns. Once you have your rectangle, sprinkle it with the cinnamon sugar and then roll it up the long way, like a giant sweet dough cigar, making a cinnamon sugar spiral. Cut the dough cigar into 12 equal pieces, and put them on top of the caramel in the pan, giving them as much room as you can to expand. Put a lid on that badboy and toss it in the fridge overnight. Grab the rolls out of the fridge 3 or so hours before you want to bake them so they can proof (yes, this may mean getting up at 5am, digging them out of the fridge, then crawling back into bed, if you are serving them at 9am). Let rest for 5 minutes, then turn upside down onto a cookie sheet. Grab your coffee, a plate, and a napkin, maybe the NYT crossword, and enjoy. Eat your heart out, NYC. 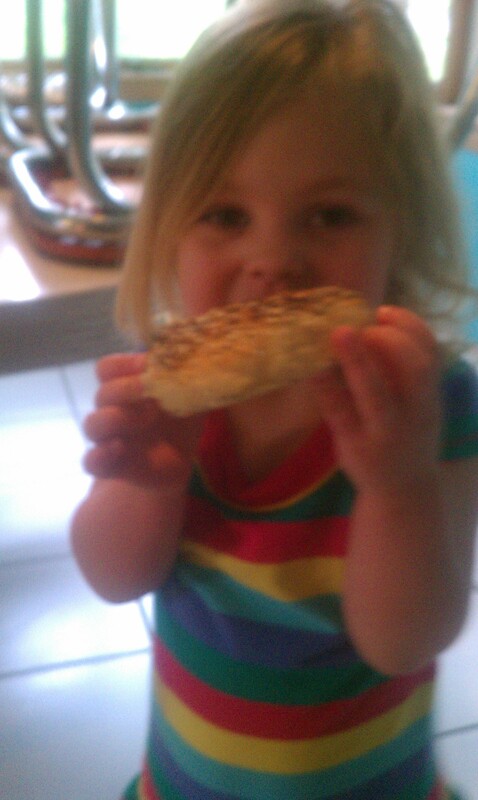 My finest parenting moments include the times I realize how broad my children's palates already are. 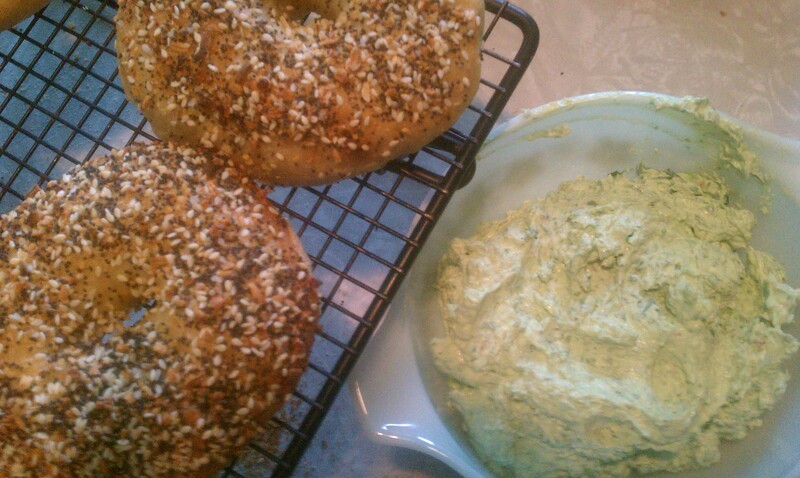 This morning, we made 14 everything bagels with ramp-chive cream cheese. We made them last year, too… and I have been dreaming of them ever since. So, needless to say, this is going to quickly become an annual tradition. I use the bagel recipe from The Bread Baker’s Apprentice, and I won’t republish the recipe here because I don’t mess with it (or any recipe from that book); they are perfect as-is. What I will say is, go buy this book if you want to bake bread. You’ll learn a ton and have every basic recipe you could want to master yeast breads. 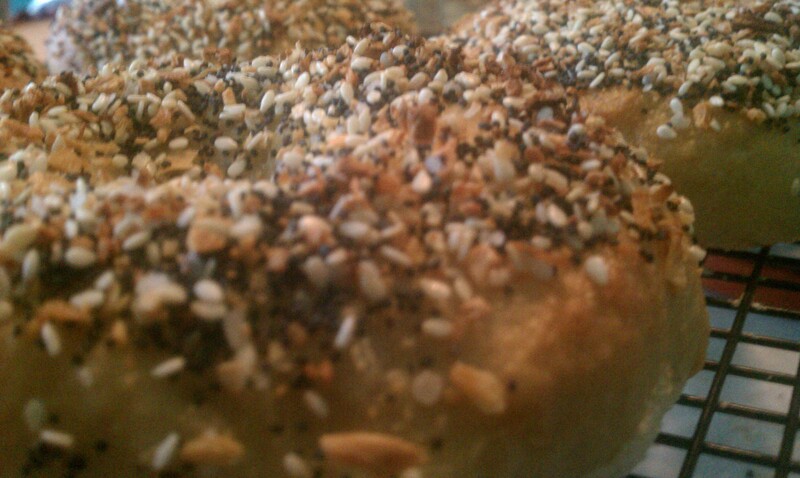 14 bagels are too many for the three of us, so we made a random-neighbor-delivery to three friends in the ‘hood. Damn, it feels good to live in Nordeast. Crunchy, salty, spicy, savory goodness. That's what I'm talking about. At last. Eat your heart out, New York.